When you take a fishing trip with GoFish Belize, you can augment your experience with a bit of snorkeling and beach barbecuing. The company specializes in flats and reef fishing charters, which provide plenty of chances to catch snapper, grouper, barracuda, and other local species. Half- and full-day trips are available, as is night fishing--a great opportunity to spend some time under the stars and catch your dinner. To plan San Pedro vacation without wasting time, ask Inspirock to design an itinerary. Bucketlist trip of a lifetime! Awesome guide service for everything sportfishing. Easy to book in San Pedro, and our guides, Carlos and Alex had over 14 years combined experience and knew exactly where to go to put us into the fish. Don’t hesitate to book here! THANK YOU!! We had a lazy guide who had poor customer service skills. Even though we had terrible conditions (25mph winds) our guide gave up trying way before we did. I’m not giving our guide “V” a bad review because we didn’t catch fish. I’m giving him a 2 star because he’s lazy. We were constantly poled into the glare because that was easier than driving around and poling crosswind. Basically he’s a used car salesmen who’ll pee on your leg and tell you it’s raining. There are too many guides who “hustle” to waste your time and money on this guide. Captain Josh - thank you for an amazing day yestersay! Our 7 yr old Jack had an awesome time fishing snapper! We took it to Palapa as you suggested and it made a fantastic lunch. We will see you in June for MAHI!! We cant wait! GREAT COMPANY. Went fishing with them three times. Flat fishing with Carlos on a cloudy windy day which made the fishing hard. Carlos still put us on bonefish. Caught two 4-5 pounders and 6-8 barracuda bait. 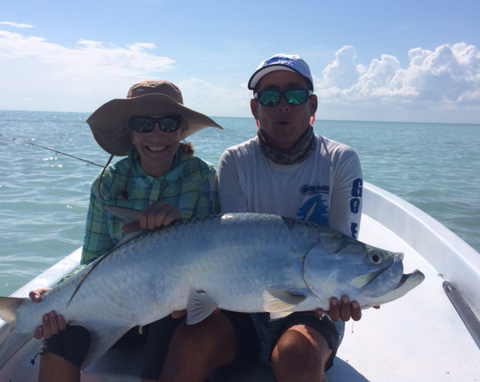 Used Shad we caught in between bonefish as bait and hooked up a barracuda on light test. My son fought for two minutes until it snapped the line. Second trip was BBQ and snorkeling. Caught a bunch of snapper and had a cuda take all but the head of one. Delicious food and great snorkeling with Ricky Sr. Finally went night fishing with Ricky Jr. Caught yellow and horse eye Jacks. Ricky said it was ok fishing. I'd hate to see good fishing when we caught 16 fish in an hour and a half. Most of the yellow Jack's were 6-8 lbs and fought like crazy. Had a couple on that went to the coral and snapped the lines. Ricky said they get really big for a reason. I can't recommend them enough. We love partnering with GoFish Belize! 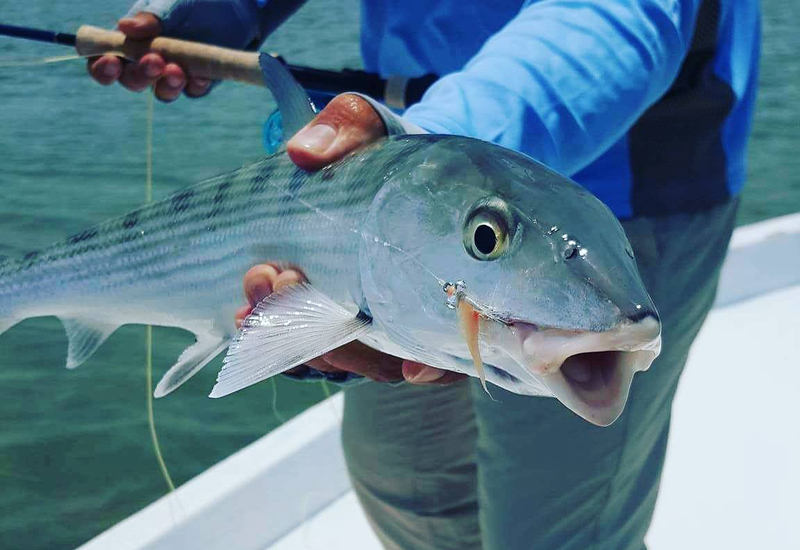 Clients for fly fishing, spin fishing, or snorkeling have always been happy they booked with GoFish Belize and with their high level of service. Their team is responsive, professional, and a pleasure to work with! Every day, we help thousands of travelers plan great vacations. Here are some tips on how to use your Listing Page to attract more travelers to your business - GoFish Belize. Promote your permanent link - https://www.inspirock.com/belize/san-pedro/gofish-belize-a162645053 - on your website, your blog, and social media. When a traveler builds a plan from this page, the itinerary automatically includes GoFish Belize. This is a great way for travelers looking for a great vacation in your city or country to also experience GoFish Belize. Promoting your link also lets your audience know that you are featured on a rapidly growing travel site. In addition, the more this page is used, the more we will promote GoFish Belize to other Inspirock users. For best results, use the customized Trip Planning Widget for GoFish Belize on your website. It has all the advantages mentioned above, plus users to your site can conveniently access it directly on your site. Visitors to your site will appreciate you offering them help with planning their vacation. Setting this up takes just a few minutes - Click here for instructions.